the Prom or Homecoming is a Cherished Memory. 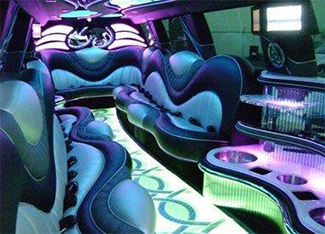 By being driven to the prom or homecoming in one of our top of the line luxury limousines, you will be making your night that much more memorable and special. At BethRock Limo we pride ourselves on our service and ensuring that our client’s nights are cherished. From the moment your chauffeur opens the door and helps you in, you can start to celebrate and enjoy the quality sound system and flat screen television. 1. Assurance for parents. Our chauffeurs are handpicked, courteous and highly trained professionals. They will be on hand to ensure that your children get to and from their prom safely and on time. 2. Route and schedule changes. Up until the time when we collect your child from your home you may request amendments to the destination and pick-up points. Any changes requested by the children after pick-up will be referred back to the adult who arranged the transportation and schedule before any changes are acted upon. 3. Flexibility in schedule and numbers. Whatever your requirements, whether it is for a party bus or a 6 to 8 seated limousine, we have a varied fleet of vehicles to cater to all needs. We aim to ensure that a fun and safe time is had by all. We can also arrange for multiple pick-ups and can handle any schedule requested. 4. Alcohol and cigarettes. These will not be permitted in the limousine. Therefore if you are in need of a limousine service for a prom, just take a minute or two to complete the online form above to get your FREE Quotation. Otherwise, simply give us a call at 301-825-8833 and we will be happy to arrange transport to the prom, or answer any of your queries abour Rockville or Bethesda prom limousine.